Partnerships are at the heart of the consortium. We are a partnership of festivals working together to develop new and ambitious outdoor work, and we actively seek to work with other organisations that share our objectives. If you are a festival or event promoter, Local Authority, a venue, a commercial sponsor, a trust, or any kind of organisation thinking of creating new outdoor work, from the UK or internationally, then we may be able to work with you. Whether you are an experienced commissioner or doing it for the first time, we are happy to discuss ideas with you. 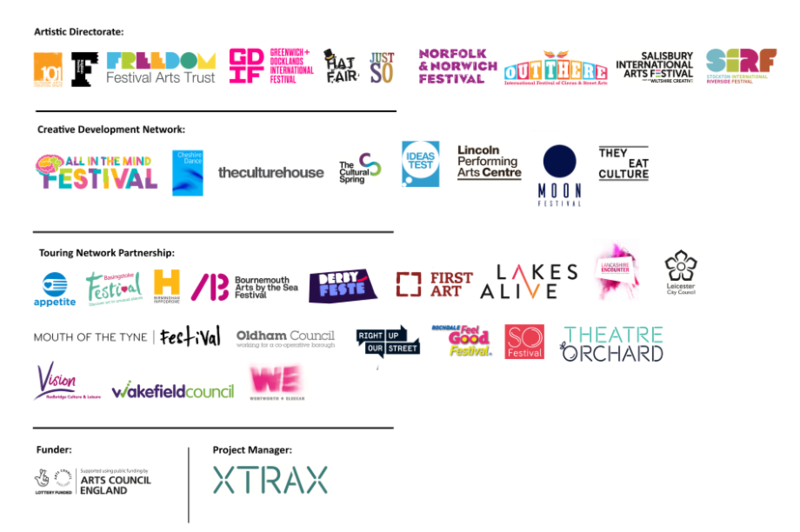 You can see below some of the organisations with whom we have co-commissioned or supported new work.